When you sign up for Insider Preview builds, Windows warns that you “may” need to reinstall Windows to get back to the stable version of Windows. 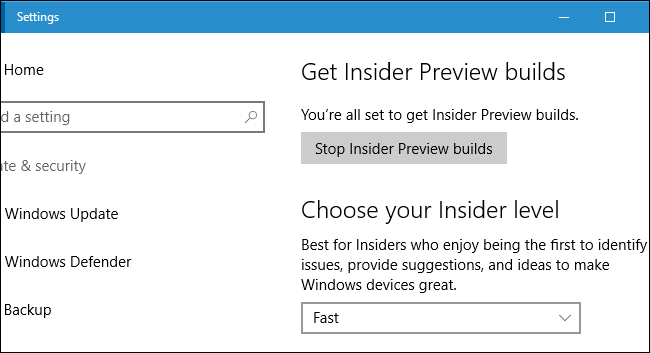 But this is a worst case scenario, and there are other ways to get off the Insider Preview track. If you’ve been using the Insider Preview, you have the opportunity to leave the Insider Preview program and return to the stable version of Windows 10 when the build you’re testing becomes stable. For example, let’s say you opted into the Insider Preview program prior to the release of Windows 10’s Anniversary Update. When the Anniversary Update was finally released on August 2, 2016, it became part of the stable build–or “Current Branch”. Since Microsoft didn’t release any new Insider Preview builds for a short time after, the Insider Preview branch and Current branch were the same–and you could switch to stable without any issues. If you want to leave the Insider Preview track when the build of Windows 10 you’re testing becomes stable, keep an eye out for the final, stable version to arrive on your device. This should be hard to miss if you keep track of Windows releases. Microsoft will announce a final release date and it will be reported in the press, too. You can check the current build of Windows on your device by heading to Settings > System > About. Verify the “OS Build” number matches the number of the latest stable build provided by Microsoft. You can find the current stable build numbers on Microsoft’s website. If the current build on your device is the same as the current stable build on Microsoft’s website, you can head to Settings > Update & Security > Windows Insider Program and use the “Stop Insider Preview Builds” button to opt out of Insider Previews. Click the “Need to stop getting Insider builds completely?” link to opt out. You’ll stay on the current build of Windows 10 until a new stable build arrives, or until you opt back into Insider Previews. 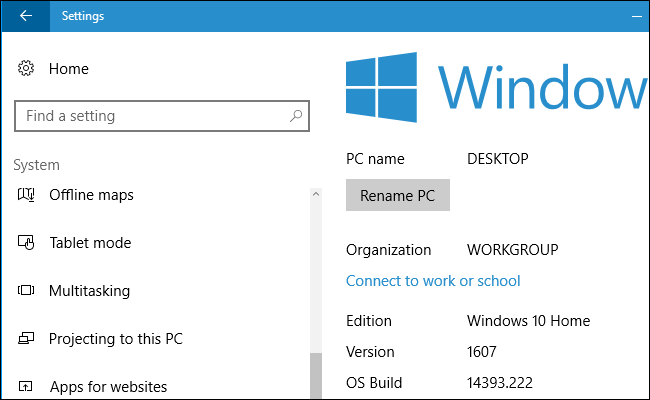 This link only allows you to opt out when you’re using a stable build. Click it when you’re not using a stable build, and you’ll instead be taken to a Microsoft web page with more information about when you can opt out. If you just joined the Insider Preview program in the last 10 days, you may be able to “go back” to the stable version of Windows 10. To check if you can do this, head to Settings > Update & Security > Recovery. Click the “Get started” button under “Go back to an earlier build” if it’s available. After rolling back, go to Settings > Update & Security > Windows Insider Program and tell Windows to stop giving you Insider Preview builds. If there’s no way to permanently disable Insider Preview builds here, that’s because you downgraded from one Insider Preview build to an older Insider Preview build. 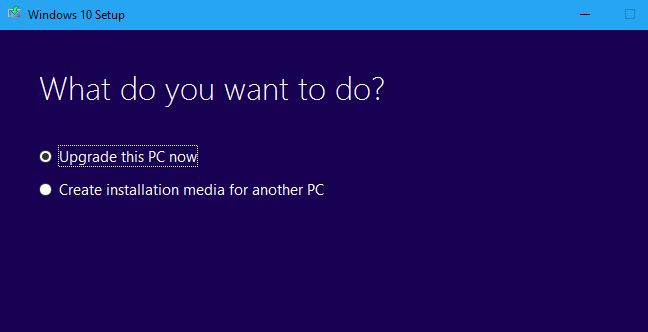 You’ll need to reinstall Windows 10 to opt out. 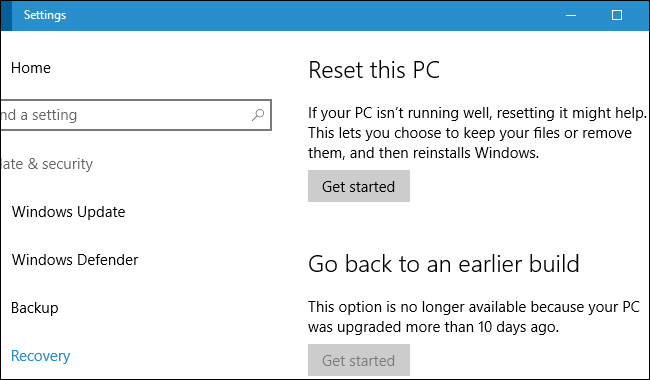 If it’s been more than 10 days since you opted into the Insider Preview program and there isn’t a stable version of Windows 10 set to arrive soon, there’s no easy way to opt out without reinstalling Windows 10 on your PC (or waiting until the stable build comes out). Warning: This will erase the files on your computer. Be sure to back up your important files first. This will also erase your installed programs and revert any system settings changes, so you’ll have to reinstall your software and change system settings afterwards. When you’re all backed up and ready to reinstall Windows, head to Microsoft’s Download Windows 10 website. Click the “Download tool now” link and run the downloaded “MediaCreationTool.exe” file. Go through the Windows 10 Setup wizard, selecting “Upgrade this PC now”. The toolwill download the stable version of Windows 10 from Microsoft and proceed to install it on your PC, replacing the unstable version of Windows 10. After the installation process is finished, you’ll have a fresh installation of the most recent stable build of Windows 10. 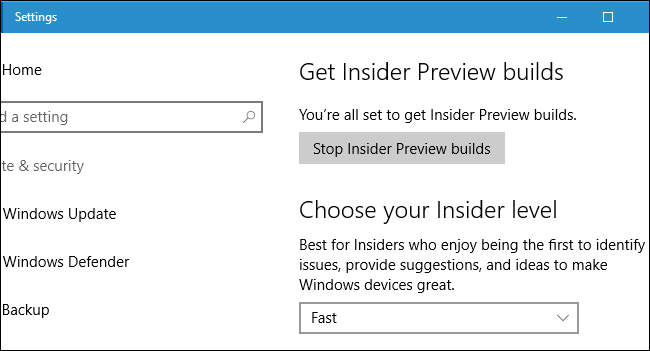 You won’t have to opt out of the Insider Preview program afterwards. Windows 10 won’t start receiving Insider Preview builds again unless you go out of your way to enable them.